We have switched the primary platform for the Barnhardt Podcast to the YouTube version. Apparently the bandwidth consumption from having almost everyone using the version that lived on this server was… non-trivial. So, hey, let YouTube stand the lion’s share of the bandwidth consumption. That’s what it is there for, I reckon. And thanks again to one and all for the kind words of encouragement to SuperNerd and myself. Because some people have asked recently, and I had occasion to visit with my ContinueToGive customer service pixie, ContinueToGive has upgraded their platform, and one of the functionalities they have added is the option to set up a recurring donation that continues until either the donor or the recipient says stop. So, like PayPal, one can do a weekly or monthly recurring profile without a set expiration date. The only thing ContinueToGive asks is that recurring profile donors remember to keep their email address updated, and also remember to update if their card expiration date rolls forward. I can’t tell you how nice it is to work with a company that you can call or email directly, and deal with a specific person, who is kind , knowlegable, helpful and responsive. Speaking of which, remember, the Holy Sacrifice of the Mass is offered every Monday, Tuesday and Wednesday for all of my benefactors, including all of the ones who have decided that they hate me. Hey, I have that effect on people. But I have an arrangement with God, once you’re on the list, you’re on the list. As Don Henley once said, you can check any time you like, but you can never leave. Mwah-ha-ha-ha-ha! Also, because I get this question regularly, my snail mail address in Colorado is still the same. It is on the Contact page. And, yes, because I had a couple of inquiries over the past week, my Cattle Marketing DVD is still available. Email me with “Cattle Marketing DVD” in the subject and I will send you the ordering instructions. I had a voicemail from a student who took the live course working on nearly ten years ago now, who has been utilizing the skill set consistently over the last decade, and wanted to get the DVD to have on hand for the future. So it ages well, as arithmetic and stone-cold common sense tend to. I read with interest your post, “Back To Work,” especially the section regarding medical costs. I had my fourth child, August 5, 1972, in a small town in eastern Pennsylvania. I was in the hospital three days. The hospital bill was $379.00. The doctor’s delivery fee was $125.00. Prenatal office visits were $12.00, which included routine urine tests. Blood tests were performed by the medical group lab and were extra but were usually only done once unless there was a problem (like anemia). The reason I know these figures after all these years is because I kept a little book of our expenses, which somehow survived all the years and all our moves. Because we did not have maternity insurance, we had to give the hospital the money no later than one month before my due date. This was no hardship to us. We simply put money away each week and paid as required. Keep in mind we had three other children. My husband was the sole breadwinner and worked in construction, which meant he didn’t work when the weather was bad. I have often wondered why medical costs have skyrocketed. As you mentioned, I thought it was because of technological advances. I also thought malpractice insurance was involved. Thank you for this post. It explained a lot. I’ve been reading/ listening to you observations on the disaster of “insurance,” and am wondering if you are aware of health sharing ministries and weather you would want to explain these to your listeners as a wonderful alternative to health insurance. I used to be terrified to not have insurance, but now I realize that fear is all manufactured by the government. Instead of insurance, my family belongs to Samaritan Ministries, where millions of dollars are voluntarily shared each year between Christians to directly pay medical bills, without involving any insurance. The positive consequences of doing this are enormous. When my recent baby spent 20 days in NICU, my hospital slashed all my bills by 87% because I was self- pay. The physicians group who attended the baby in the hospital has a policy to match the discount of the hospital, so those were slashed too. In fact, all of the providers who have serviced me have dramatic discounts for people without insurance. So for the whole experience, (my hospital stay, delivery, NICU, external physicians, pre-natal care, lab work, visits to specialists, etc.) instead of many hundreds of thousands of dollars, my total is under 30K, and the money is all shared with me from fellow believers. This month alone, I am receiving $23,000 in checks from Christians all over the country. After it’s all done, I will have personally spent $0 for the birth of this baby. In contrast, when I had insurance, each child cost me out of pocket about 8,000, on top of the monthly premiums. AND, there’s an exemption in the insurance mandate for members of health sharing ministries, so it’s legal, at least for now. Once we learned about this, we have opted out of the “excellent” insurance that my husband could have through his work, and can’t see why anyone wouldn’t do the same. Thank you for taking the time to do the podcast for Reluctant Preppers. It is always riveting to hear your views, which are so eloquently articulated. In a recent podcast you made mention of a water purification system using ceramic and silver. Would you be so kind as to reply with the brand name or link for this system? Certainly. 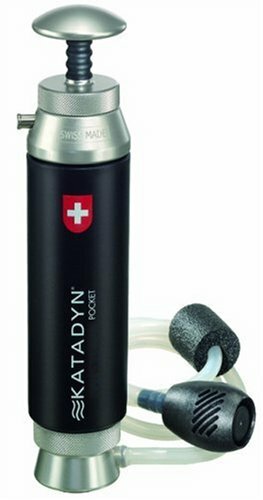 I recommend the Katadyn Pocket. And here’s the link for additional/replacement filters. Probably wouldn’t be a bad idea to stock up. Want to pass along how much I appreciate your podcast (as well as your other work). 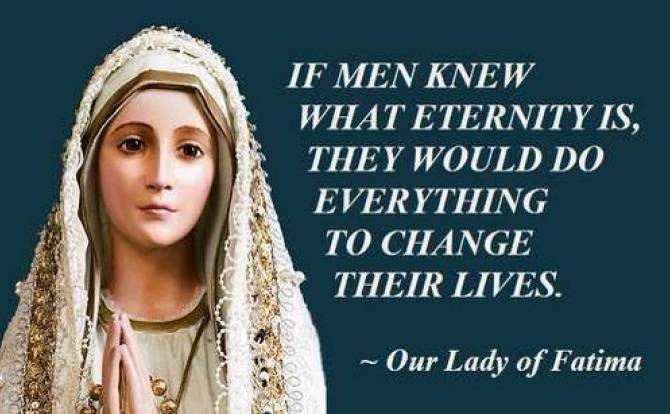 Thanks especially for the Our Lady of Fatima Novena. (I’m one of those Catholics who got to make a priest’s day in the confessional with “Bless me father, for I have sinned. 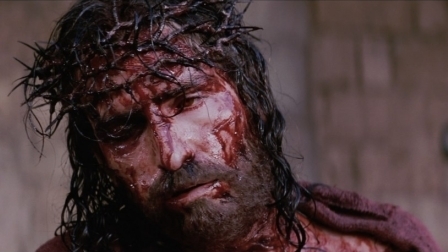 It has been 50 years since my last confession.” So I’ve got some ground to make up). I have been following Karl Denninger since well before coming across you, so I was surprised when you mentioned him (what are the odds of coming across both of you? You two are not exactly household names. Coincidence or just another example of God “maintaining His anonymity”?). It is refreshing, to say the least, to be able to hear a voice like yours that dispenses with the fan dancing and euphemisms, and gets on with the direct truth with uncommon clarity. Today is the feast of St. Paschal Baylon. What you are seeing in the picture above is a priest, in cassock and surplice, on the left, carrying Our Lord Jesus Christ in the Eucharist to someone, presumably a sick, bedridden person. The two men kneeling in the mud are simple laymen, who, upon seeing the priest carrying Our Lord, immediately fell to their knees in the muddy street as God Almighty, physically, substantially present in the Eucharist, passed by. They did this because, as most people in their time and place, THEY ACTUALLY BELIEVED. Simply put, those men were on their knees because they were Catholic. Period. 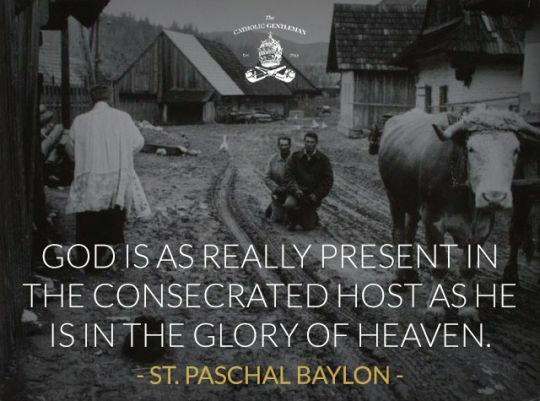 St. Paschal Baylon, pray for us. In this episode we discuss the revelation that Seth Rich, the DNC staffer who was killed last summer in Washington D.C., was passing internal DNC information to Wikileaks. U.S. politicians don’t have a monopoly on stupid: German politicians are confiscating private dwellings to give to refugees — doesn’t this pose a risk of provoking Germans to revolt? Ann explains that the political right-wing, and even far-right, have been co-opted to advance the sodomitical agenda: another example of many how accommodating error under the label of tolerance just opens the floodgates for more attacks. Feedback: You can email Ann and her co-host at [email protected] with your questions, comments, etc. This entry was posted in Barnhardt Podcast on May 16, ARSH 2017 by SuperNerd. 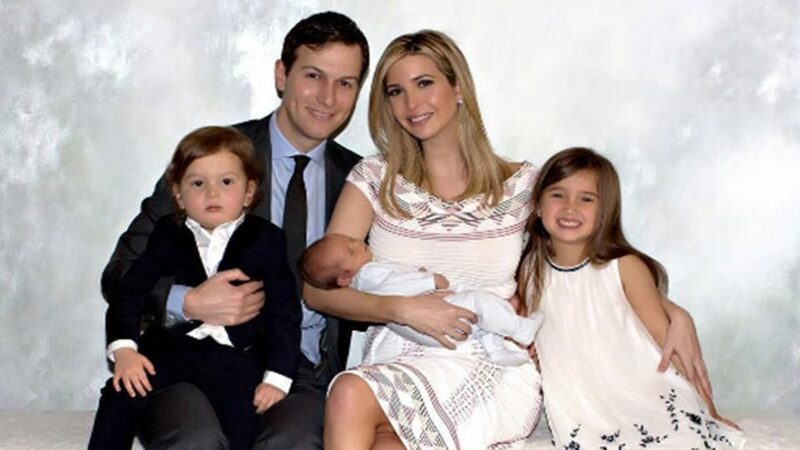 FOUR Trump-Kushner Conversion Masses Lined Up!!!! Tomorrow, Monday, 15 May, at NOON EASTERN DAYLIGHT TIME, the Holy and August Sacrifice of the Mass in the Venerable Gregorian Rite will be offered for the reversion/conversion to the One, Holy, Catholic and Apostolic Church, outside of which there is no salvation, for Ivanka Trump and Jared Kushner and their three children, Arabella, Joseph and Theodore. 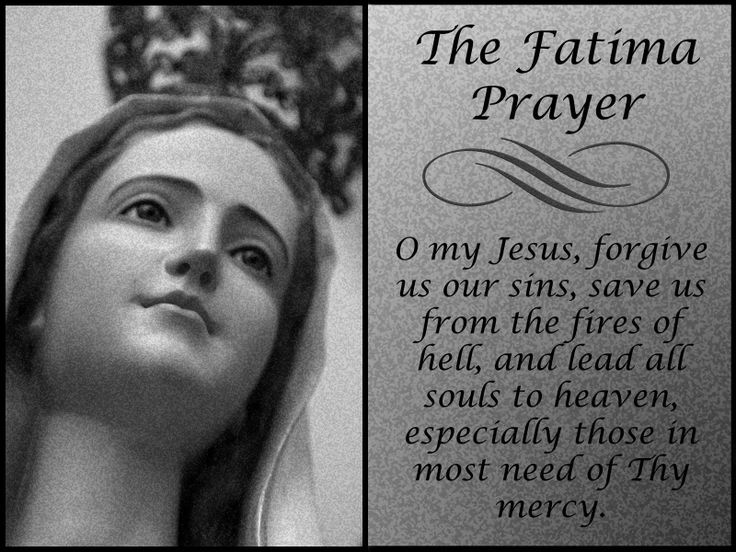 Our Lady of Fatima, Queen of Heaven, pray for us. Do you believe what the Church teaches? Do you care? Only she is baptized, and she has formally apostasized. DO. YOU. BELIEVE? This entry was posted in Uncategorized on May 14, ARSH 2017 by Ann Barnhardt. This entry was posted in Uncategorized on May 12, ARSH 2017 by Ann Barnhardt. In this episode we discuss a professional wrestler and Hollywood actor who says he wants to run for political office, what North Korea might REALLY be doing on these “failed” missile tests, and make a request for priests who are willing to offer the Holy Sacrifice of the Mass for the reversion of Ivanka Trump and the conversion of her husband and children. 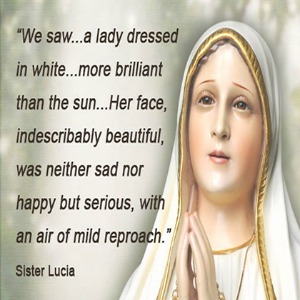 Also Ann explains why she doesn’t allow comments on her website or Youtube channel (or anywhere else for that matter), what is really going on with the implosion of the Knights of Malta, and we discuss this weekend’s significant 100 year anniversary of the first apparition of the Blessed Mother at Fatima, Portugal. Feedback: You can email Ann and her co-host at [email protected] with your questions, comments, recipes, etc. This entry was posted in Barnhardt Podcast on May 11, ARSH 2017 by SuperNerd. This entry was posted in Uncategorized on May 11, ARSH 2017 by Ann Barnhardt. This entry was posted in Uncategorized on May 10, ARSH 2017 by Ann Barnhardt. Mao? Bergoglio? 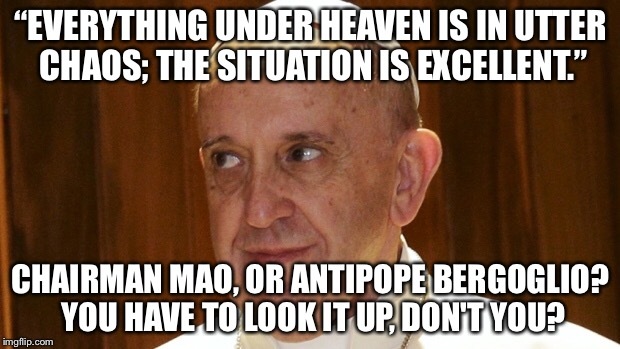 Militant Chinese Communist Atheist Psychopath or Antipope… It’s the same damn thing, isn’t it? This entry was posted in Uncategorized on May 9, ARSH 2017 by Ann Barnhardt.